Natural Elements Floor Easel - Tripar International, Inc. The Natural Elements Metal Floor Easel is perfect for highlighting your most cherished artwork, photographs or to be used in studios and craft rooms. 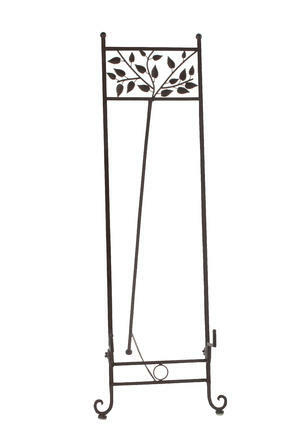 This easel features a mahogany painted finish and is accented with a panel of intricately embossed leaves at the top. The bracket arms are adjustable and can hold up to 20 lbs. Display this beautiful Natural Elements Metal Floor Easel throughout your store or gallery displaying photographs, artwork, signage and more. This piece holds items up to 39" in height and 40 lbs offering displays of various sized items. 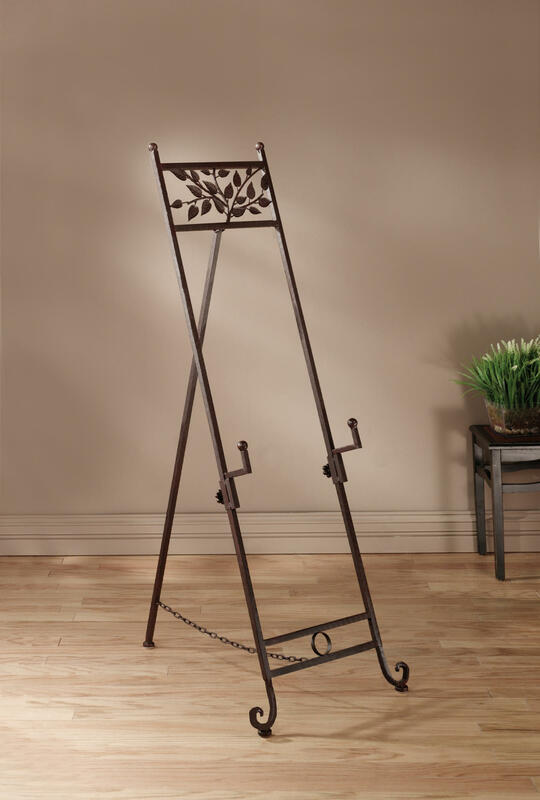 This brown floor easel features beautiful natural designs and is perfect for resale. Holds artwork up to 39"